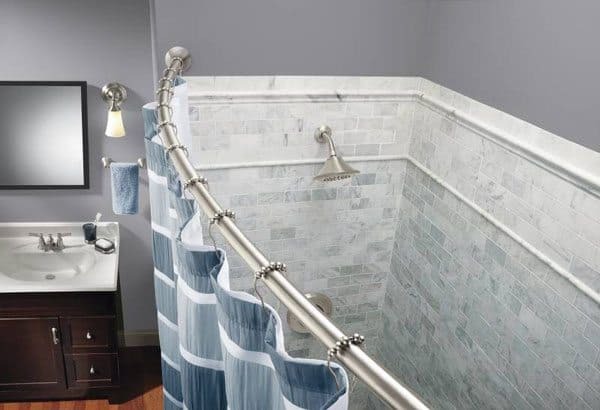 Instantly upgrade your bathroom with a curved shower rod. It’s not only small bathrooms that benefit from having more space in the shower area. 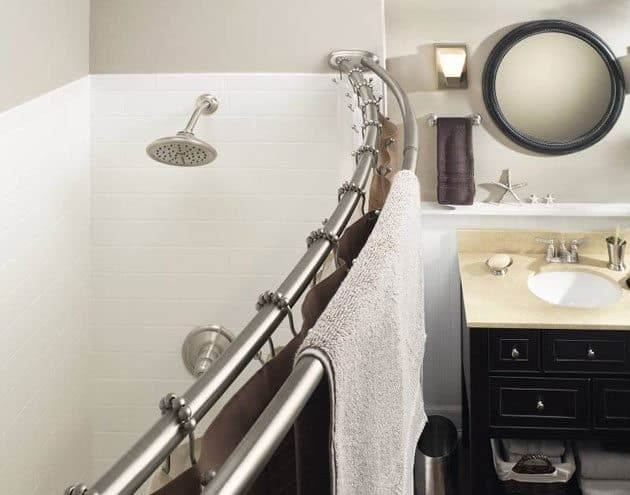 Curved shower rods provide more room to maneuver while taking a shower, without infringing on the bathroom space. Many luxury hotels have already caught onto this minor detail and Moen now offers curved shower rods as a single or double rod. You can install them using permanent or tension mounts so they will work in any bathroom. Visit Moen.com for more details.